New Mobile application testing capabilities: You can now use the object spy to spy on the objects within mobile apps and retrieve their properties. You can also use the highlight object feature to highlight a particular object. New cross browser testing capabilities: UFT 12.5 has brought number of changes which will help us in writing uniform tests across browsers. Additional web objects supported on chrome. 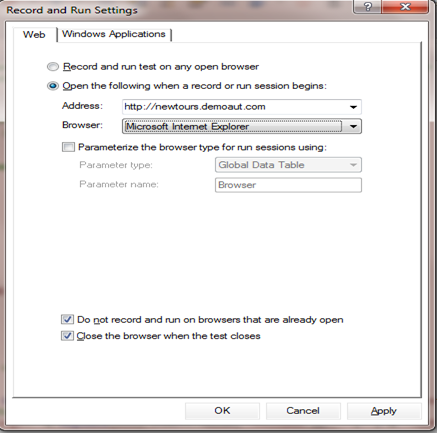 Now you can specify the browsers for the recording and execution of tests. You can also parameterize the browser from the data table/Test Parameters. LeanFT: You can now use LeanFT for developing the automated scripts using your development IDE. Add functional libraries as a solution Item: you can now add functional libraries as the part of the functional libraries. This will help us in moving the common functional libraries to the solution instead of keeping them in each test. Integration with Git Source code repositories: Now you can store UFT tests in Git repositories and work directly on these tests from UFT. 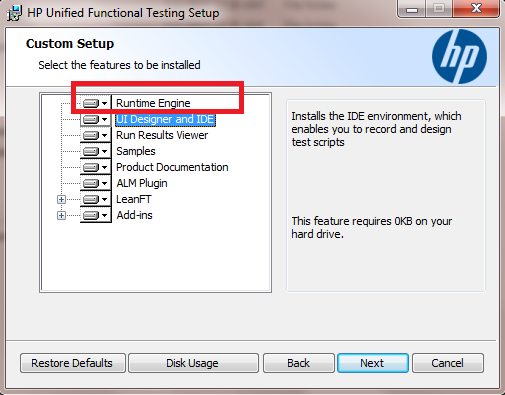 Run UFT without UFT IDE: Now you can use the UFT’s runtime engine for executing the tests without installing the complete UFT IDE. New Licensing Mechanism: UFT 12.5 uses autopass licensing mechanism. This enables you to install and manage seat, concurrent and commuter license in a single screen. New UFT Firefox extension: You can now use the new firefox extension, which will enable you to use the same extension across multiple versions of firefox browser. Support for application designed with Ext-JS toolkit. 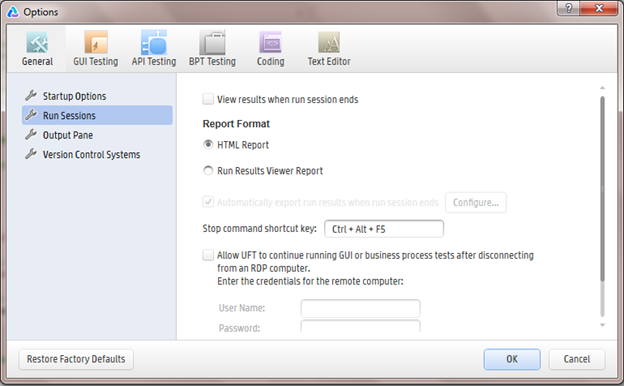 ← How and when to set Mandatory and assistive properties in UFT/QTP? Hello Sumeet, Is there a way using UFT 12.5 we can store the value in Global DataSheet which we can use it in another action that follows at the end of the test. UFT creates the sequence of actions to be executed at runtime using Datatable, so you will have to make sure that, it fits into that sequence properly. Web elements are not recognized by firefox browser, The test doesn’t seem to execute in firefox version 40 and above eventhough UFT 12.51 states it supports it, Is there any additional installation that needs to be done for UFT to support firefox? Have you enabled the “Unified Functional Testing Extension” for Firefox ? how do we start the leanFT after installation with UFT? You will have to open the LeanFT runtime from Start->All programs->HP..